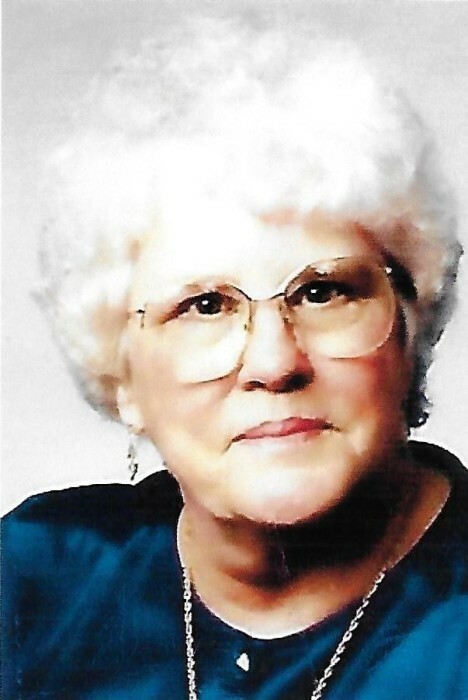 Dorothy Mae Herndon,83, obtained her angel wings on Tuesday October 30th at the Woodlands Nursing Home where she had made her home for the last 18 months. Dorothy was born on April 24, 1935 to Owen and Dorothy (Troxell) Essex in Louisville Kentucky. She was a longtime resident of Cowan, IN. She was employed for more than 30 years with IU Health/Ball as a Unit Secretary retiring in 1996. She was a member of the Avondale Sympathy Club. She had many illnesses but her death was sudden and unexpected. She was excited to welcome all of the little trick or treaters that visited the Woodlands the night before. She loved to crochet, sew and making dolls. She loved to camp but most of all she loved her family and spending time with them. Dorothy is survived by daughter Robin (Bobbie) husband Jay Carter of Cowan, daughter Teresa husband Bill Whicker of New Port Richey, FL and son Tom wife Susan Lee of Royerton. Several grandchildren and great grandchildren, and a brother Jerry wife Sandy Essex of Southern IN. She was preceded in death by husband Melvin Herndon and a son Billy Jack Lee. A funeral service for Dorothy will be held on Friday, November 2, 2018 at 1:00pm at Parson Mortuary. Friends may call from 11:00 am until the time of service on Friday. Burial will be in Gardens of Memory Muncie.